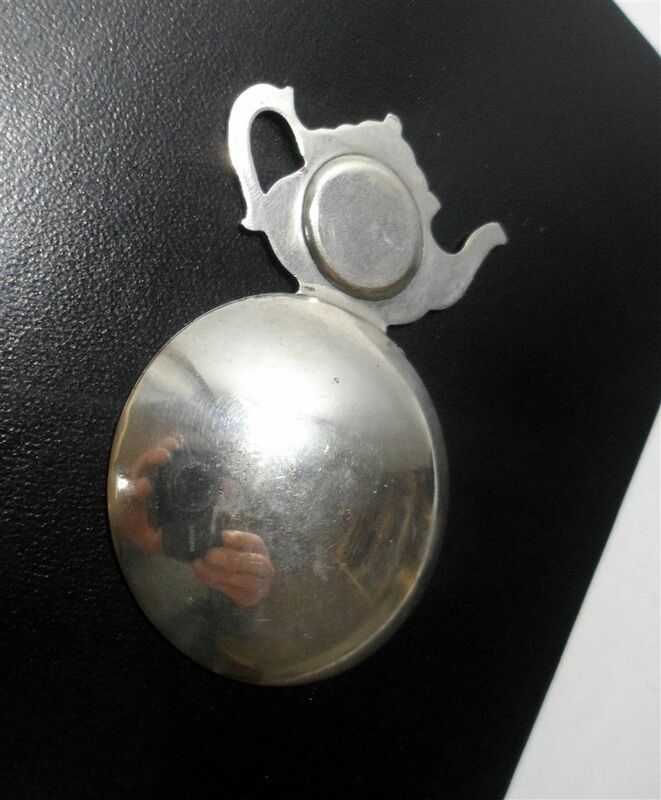 Item - Rather Unusual Vintage 4 o'clock 'Clock Face Type' Chrome Tea Caddy Spoon with inset enamel crest on teapot finial. 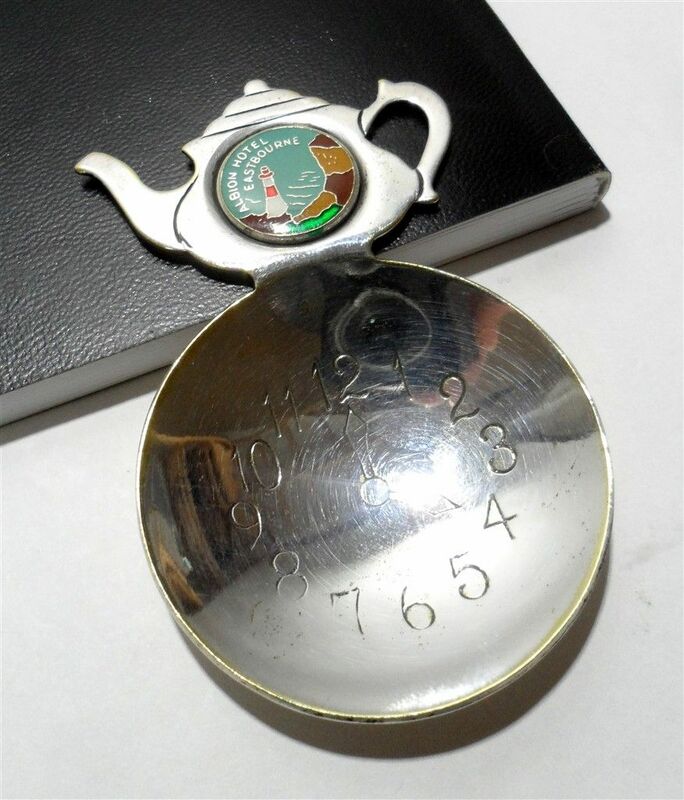 We see many of this type of caddy spoon with enamel crests of seaside resorts, notable buildings, etc... but rarely for an individual hotel. 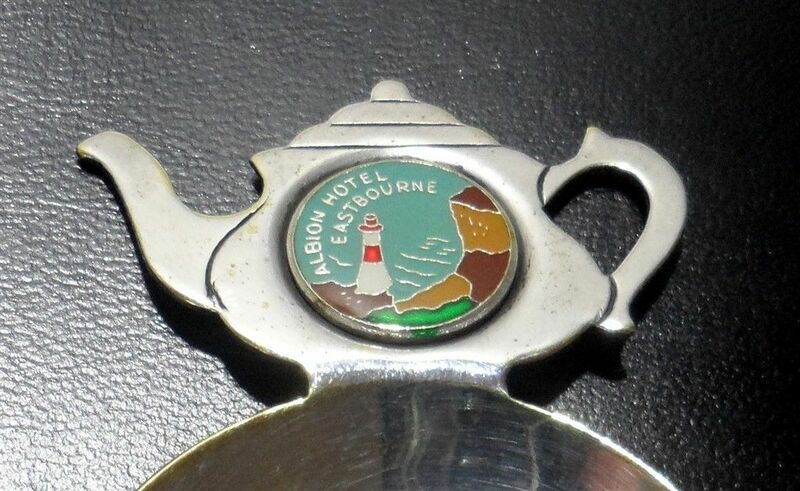 The enamel crest features the hotel name and location against the backdrop of a coastal scene featuring a lighthouse. Condition - Very Good Used Condition (please see all photos).